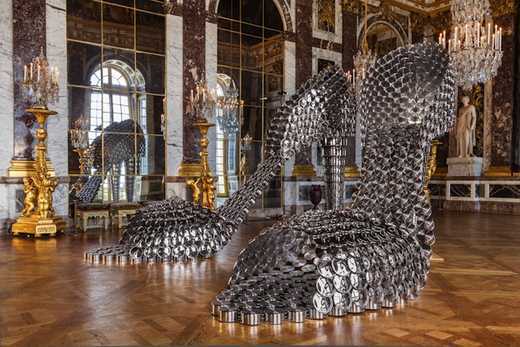 Paris-born, Lisbon-based artist Joana Vasconcelos takes everyday objects and transforms them into life-size replicas of high-heel sandals in her aptly titled series Shoes. 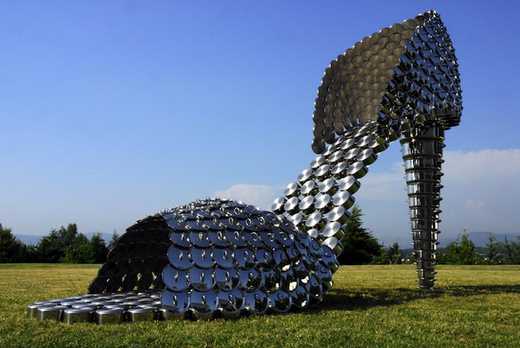 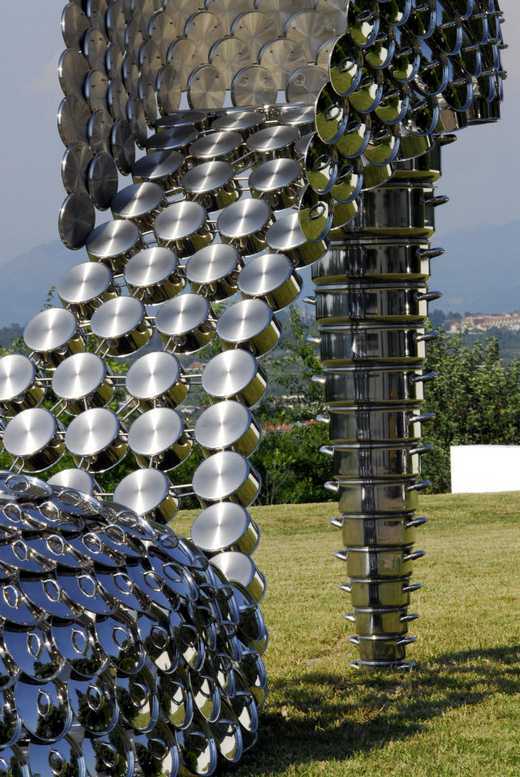 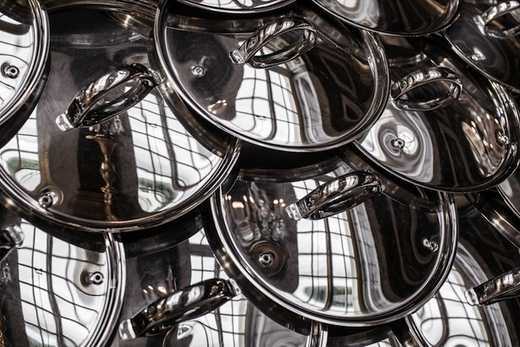 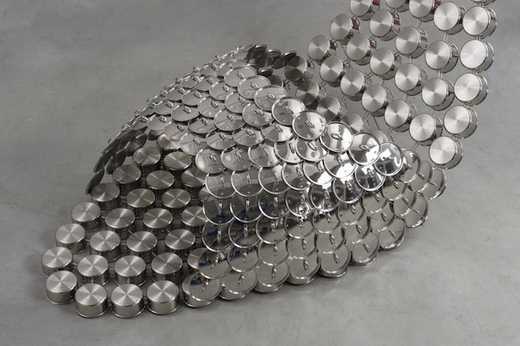 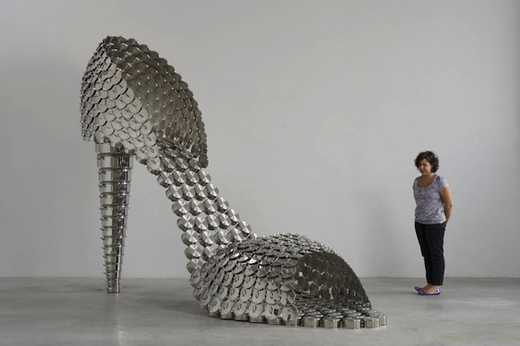 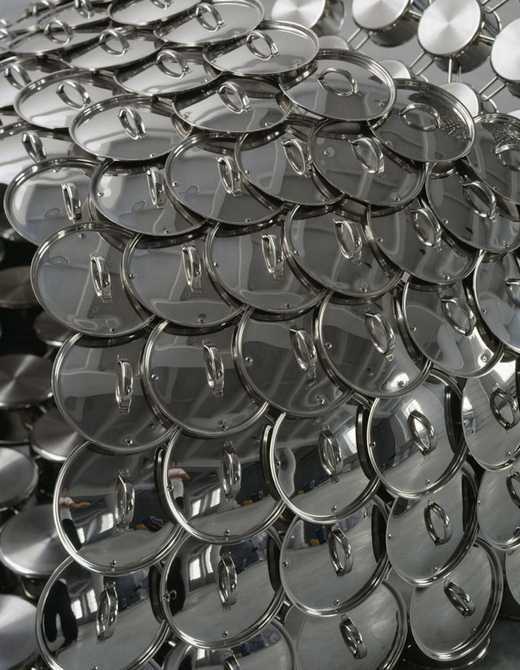 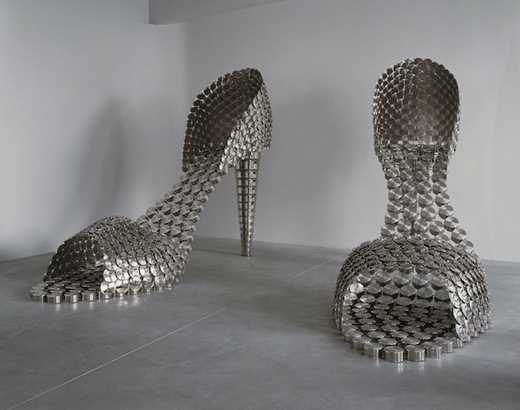 Each towering shoe is constructed out of dozens of stainless steel pots, pans, and lids of varying sizes. 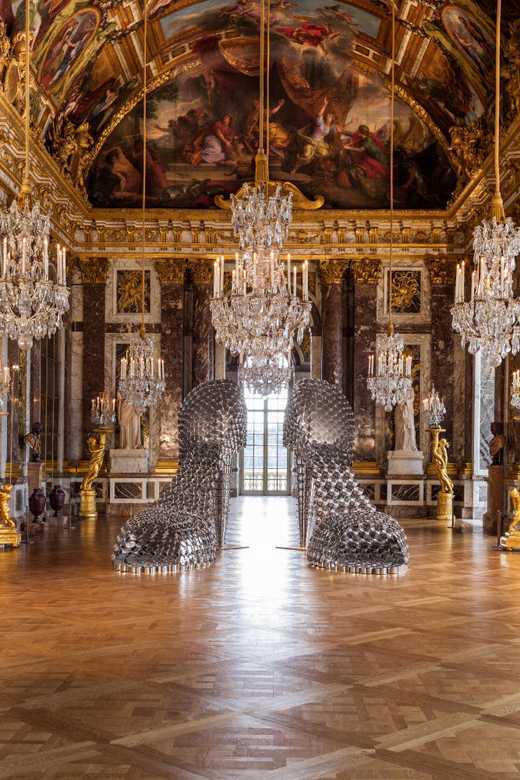 These sculptural installations are really remarkable to look at and deconstruct, which makes it no surprise that they have traveled the globe over the years, showing in private galleries in Seoul to the Château de Versailles.